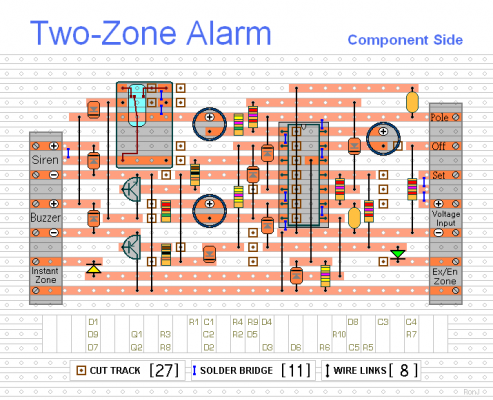 This is a two-zone alarm - with automatic exit, entry and siren cut-off timers. It can be triggered by the usual types of normally-closed input devices - such as magnetic reed contacts - foil tape - PIRs etc. I've used a 12-volt supply in the diagram - but the circuit will work at anything from 9 to 15-volts. All you need do is select a siren, buzzer and relay to suit the voltage you want to use. When you move Sw1 to the Set position - you have about 30 seconds to leave the building. If you re-enter through the Exit/Entry zone - the buzzer will sound - and you'll have about 30 seconds to switch the alarm off. The Instant zone has no entry delay. Anyone entering through the Instant zone - will sound the siren immediately. About ten minutes after the normally-closed loops have been restored - the siren will switch off - and the alarm will return to standby mode. It can then be re-activated by a subsequent intruder. If you don't want the siren to sound a second time - add the One-Time-Only Module. It forces the siren to switch off after the first ten minutes. And it prevents the alarm from activating a second time. This module has other uses - so it's worth a look. 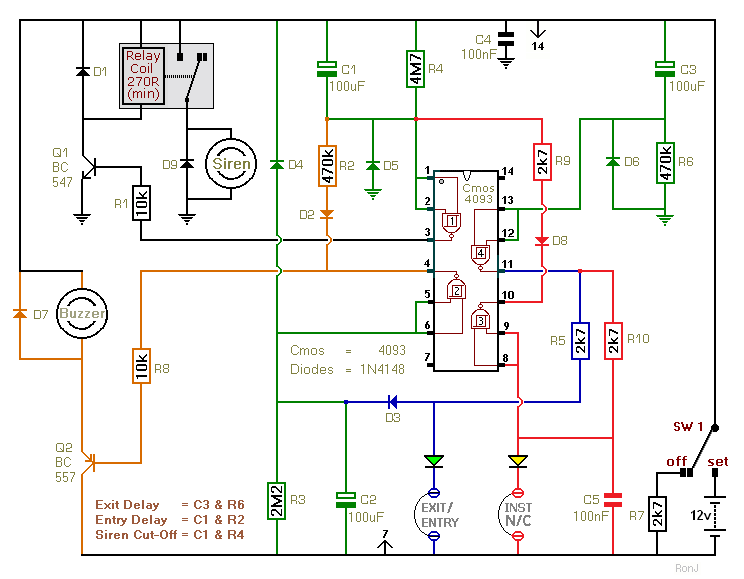 The various timing components are listed in the diagram. 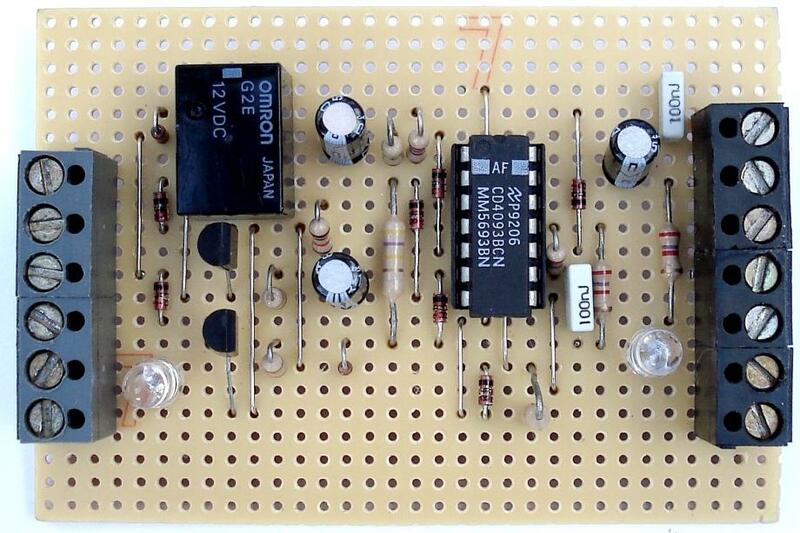 If you want to change the length of any of the delays - change the value of the capacitor and/or the resistor shown. Increasing the value of either - will increases the delay. And reducing the value of either - will shorten the delay.